Endodontic diagnosis can be very confusing. Much of this confusion comes from differences in diagnostic terminology. The diagnostic terminology used from school to school is different. Even endodontic textbooks fail to create a systematic approach to endodontic terminology. 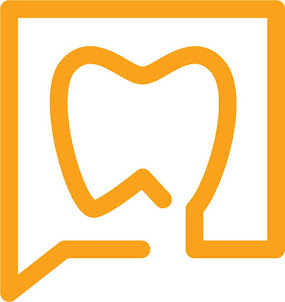 The American Board of (ABE), the organization which oversees the board certification of endodontists, even allows for board candidates to describe the terminology they will be using during their board certification process. Endodontic diagnostic terminology is based on clinical signs & symptoms, radiographic appearance & presence or lack of swelling or drainage. It is easily understood how confusing this can be with so many variables. In an effort to simplify and unify the endodontic diagnostic terminology, the ABE has recently published a list of pulpal and periapical diagnostic terminology. In our practice we have adopted this terminology and will be using it in our daily practice of endodontics. We will also begin using this terminology in our cases presented in the blog. The following is the new terminology recommended by the ABE. You can see that the pulpal diagnostic terminology has not changed. The periapical terminology is where are the confusion was and that is what they have tried to simplify. If you look closely at the definitions, you will see that the radiographic signs are not part of the periapical definition anymore. That is the reason that a Acute Apical Periodontitis & Phoenix Abscess are now both called a Symptomatic Apcial Periodontitis. Is your head spinning yet? Go back to the top and read it again. We'll have more on diagnosis to help you apply these definitions in your practice. These definitions are much more practical than the current ones in the AAE glossary. I'm wondering if there are any plans to update the glossary with them. It would sure be nice if the AAE changes the glossary of terms and everyone can get on the same page. We have decided to begin using these terms in our practice because my partner & I were not completely on the same page in our diagnositic terms. It made it difficult for record keeping and training of staff when we each had our preferred definition. I like your new blog page. I'll be watching!